1. 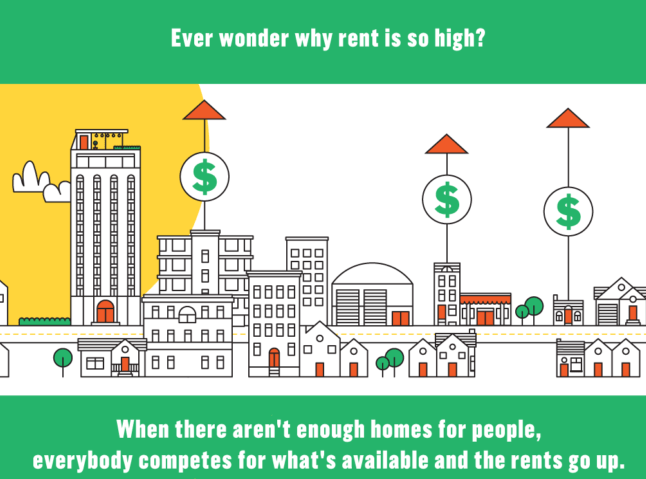 Portland’s teachable moment: time for a little housing economics 101. There’s a big debate going on in Portland right now about whether using discretionary land use approvals to block some market rate housing will worsen the city’s affordability problems. Long-time readers of City Observatory will know our position: in the face of a housing shortage, increasing supply at every level of the marketplace helps ease the pressure on housing costs. There are unfortunately still some who are in denial about this basic fact of housing market economics. We marshall the evidence from Portland, from cities around the country, and from Sightline Institute’s terrific “musical chairs” infographic to explain why every bit of supply helps. 2. Parking meters and opportunity costs. One of the unseen effects of “free” parking is that it leads us to overlook the value that we could gain if the street space now dedicated to car storage could be used for other purposes. Whether it’s parklets, or bike lanes, or even just additional clear space at intersections to improve visibility, parking spaces impose a cost. Dedicating public space for one use always incurs the opportunity cost of not using it for something else, and our decisions about what to dedicate public space to ought to take those opportunity costs into account. Pricing parking acknowledges and values these tradeoffs in a straightforward way. 3. An open letter to Portland City Commissioner Nick Fish. Our colleague Ethan Seltzer, emeritus professor of Urban Studies at Portland State University has an open letter on housing policy. Drawing on his extensive knowledge of the region’s land use planning system and local housing markets, Seltzer urges Commissioner Fish and his colleagues to much more aggressively expand the housing opportunities citywide, if they’re looking to make a dent in the affordability problem while promoting social justice. 1. The devastating evidence on racial discrimination’s effects on black men. For the past several years, Raj Chetty, Nate Hendren and their colleagues at the Equality of Opportunity Project have been mining big data in a thoughtful and systematic way to shed a blinding light on who is, and who isn’t sharing in the American Dream. Their latest work, brilliantly summarized by a team from New York Times Upshot, shows just how potent discrimination continues to be. Regardless of how well off their parents are economically, black men have consistently lower earnings than white men from similarly prosperous households. These same gaps don’t hold for black women, pointing to a serious and persistent problem. Personal liberty and the concept of freedom are, rightly, important to Americans and to American political culture. And in the case of proposals for high-density zoning, nobody is trying to force anyone to do anything. . . . It’s the status quo that forces a particular form of land use — detached houses with plenty of parking — on the vast majority of the developed land in America. 3. Death by autonomous vehicle. If there were actually a war with cars, it ought to be apparent to all that the cars are winning. 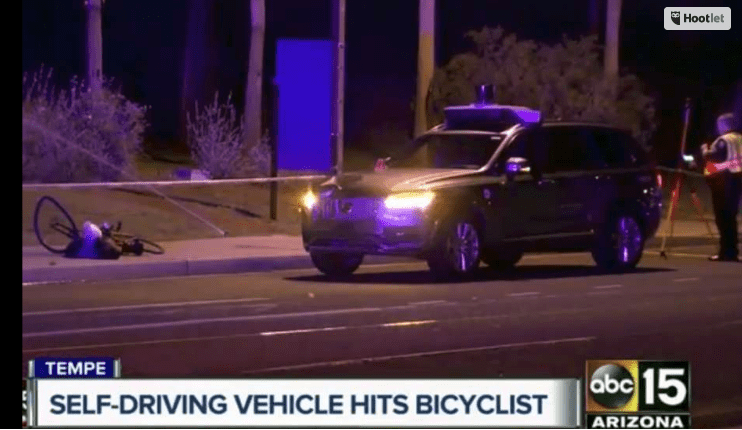 Our hearts go out to the family of Elaine Herzberg, of Tempe Arizona who was killed this week when she was struck by one of Uber’s self-driving cars. There’s been a lot of naive optimism that autonomous vehicles will somehow neatly eliminate all the errors that human drivers commit that lead to crashes. But the roadway is a complex social space, and not an abstract engineering problem in which all the variables are known and well-behaved. Autonomous vehicles are well on their way to adopting one of the best known attributes of conventional automobiles: blaming their pedestrian victims. As Streetsblog’s Angie Schmidt points out, just as with many fatal “accidents,” initial police accounts excused the car, saying Herzberg appeared “in the roadway ‘out of the shadows’ ‘like a flash’ and emphasized that she was not in a crosswalk. And a little bonus math fact: human drivers kill about 1 person per 86 million miles driven. With this crash, Uber’s self-driving cars have killed 1 human in a little over 2 million miles of autonomous operation. While the sample is admittedly small, if this is a plausible indication of the AV fatality rate, it means that autonomous technology will have to get about 30 times better than it currently is just to match the safety of human drivers. 4. How SB 827 is dividing some unlikely bedfellows. Ben Ross has some insightful analysis of the political fissures opened up by California’s proposed SB 827 zoning liberalization. Writing in Dissent, Ross notes that many land use controversy’s have been won by the unlikely alliance of anti-development leftists and homeowner’s groups. One sees developers as exploiters, the other is looking to protect their “quality of life” and their property values. Zoning controversies have long made strange bedfellows. But the ease with which Beverly Hills and Marin County residents can adopt anticapitalist rhetoric points to an affinity that goes beyond mere electoral convenience. Whether out of ideological conviction, political opportunism, or love of the hip cachet of urban neighborhoods, left activists identify gentrification as the essence of the housing problem and resistance to new building as the cure. Progressive organizing thus evolves stealthily into a defense of the residential status quo. It is a status quo that Beverly Hills is happy to preserve. How religious tolerance influences economic development. Here’s another study that exploits the historic variation in cultural practices to measure long term effects. This distant mirror buttresses Richard Florida’s arguments about “technology and tolerance” using data on religious diversity in Prussian cities in the late 19th Century. The study finds that innovation is strongly and positively correlated with religious tolerance as measured by a city’s religious diversity, diversity of churches, and diversity of preachers and religious teachers.